Selling her with other six tenshi figuers on ebay, check it out! Suzumiyamish (6 vuotta sitten) #1398079Selling mine here! Mine hasn't, but it's definitely possible with FuRyu figures during higher temperatures + gravity. I mentioned on other pages, but my Sasami and Rin both had these issues. Gladly, I caught this quick and applied first aid Heat and Freeze on them, and they're both fine now. Some trading figures I own still have this occasionally. Just heat 'em up, push back and cool 'm down. Got mine from Anime Export on E-bay for $30 (For both figures mind you so $15 each) They are great for the price! My original order from AmiAmi got cancelled and I thought I was going to be screwed out of these. 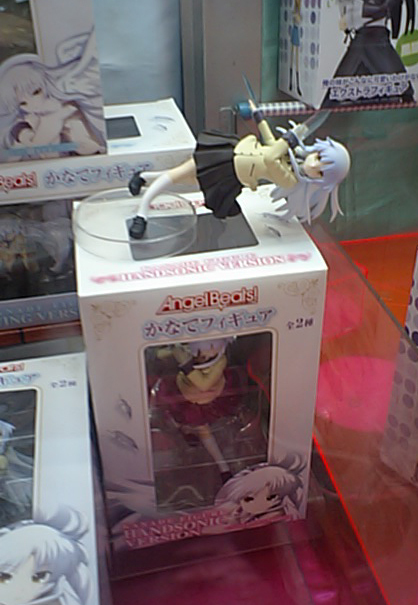 So far I am not liking AmiAmi. I would rather pay a little extra in shipping and stick to Hobbey Search.